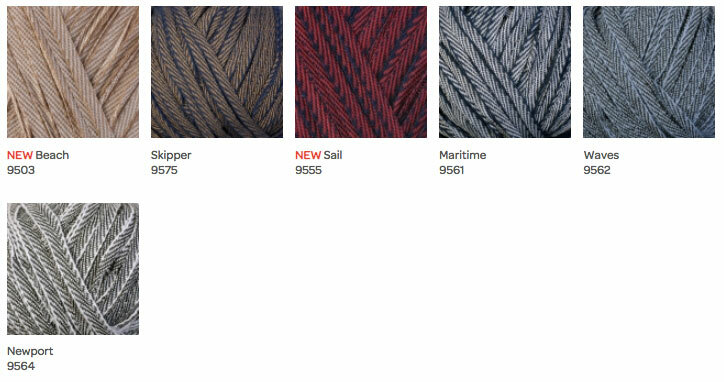 Berroco's Regatta, 100% cotton tape yarn, is a great yarn for summer knitting or crocheting. This bulky yarn features a diagonal stripe print that creates a clever patterning in the finished fabric. Knit or crocheted with larger needles or hooks, this yarn quickly works up into garments or accessories.